Based on the comprehensive inventory of your network, LOGINventory provides you as administrator with an automated and detailed overview of all assets you need for the management of individual server systems, complex IT infrastructures or entire data centers. Our network inventory accompanies you optimally in the procurement, installation, configuration, operation, maintenance and servicing of your network components and is the basis for a reliable IT documentation and license management for your company. 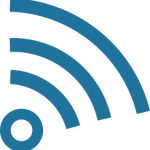 The network inventory of LOGINventory is agentless and covers Windows computers, Macs, Linux and mobile devices as well as all SNMP-enabled devices such as printers and switches. This gives you a complete overview of the entire hardware and software in your network. Thin clients, NAS, telephone systems, etc. You can use the Offline Agent to inventory laptops of field staff for example. 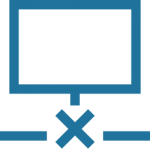 Manage devices in LOGINventory that do not have a network interface, such as projectors! 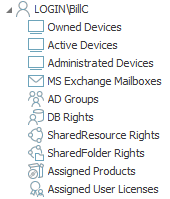 Who has what kind of access to shares, folders and databases? Who has administrator rights on which devices? 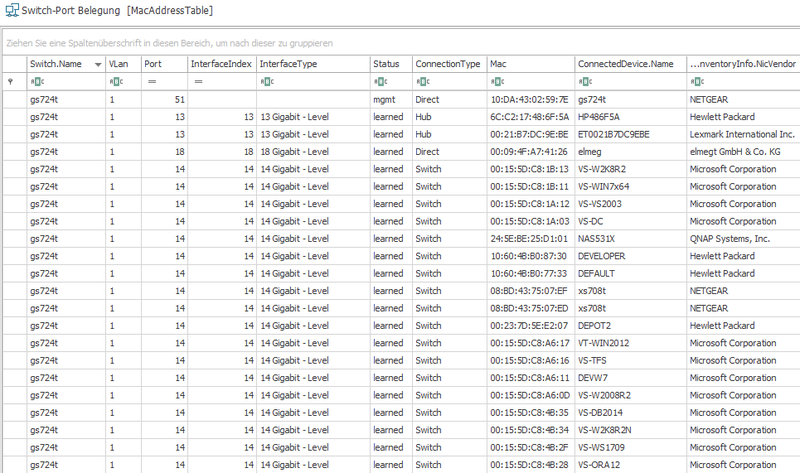 Which data does LOGINventory collect? Depending on the type of device, different data are available for evaluation. For example, a MAC address table is available for switches, but no software inventory. Would you like to monitor your network or systems even more closely? No problem, the collection can be easily extended and adapted. 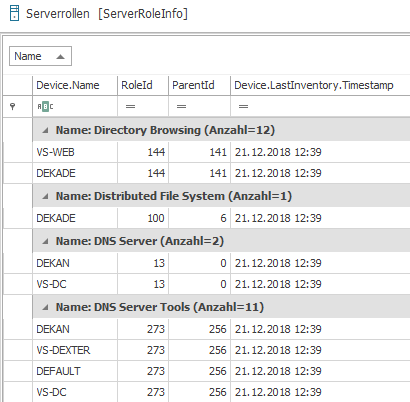 For example, additional OIDs from SNMP devices, registry entries or files located in specific locations can be integrated into the scan process. You can read more about this in the manual. LOGINventory offers different methods to collect all data so that all details from your company’s network are available for evaluation. 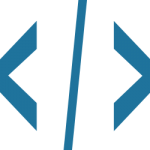 All methods follow one goal: Simple, automated information retrieval from all relevant devices. LOGINventory can e.g. use IP address ranges to scan the network agentlessly and collect all information. For this purpose, the device to be scanned must support a remote interface (e.g. Windows APIs, SSH, SNMP) and an account must be stored in LOGINventory that has the right to query the data. These scans can be automated, so that depending on the time schedule, the acquisition is fully automated and you don’t have to worry about anything. Alternatively, the data can also be captured using a logon script without an agent. For this purpose, only the call of a scan file has to be positioned in the logon script of the computer. Then computers are captured in the user context as soon as a user logs on. The data transfer takes place automatically. 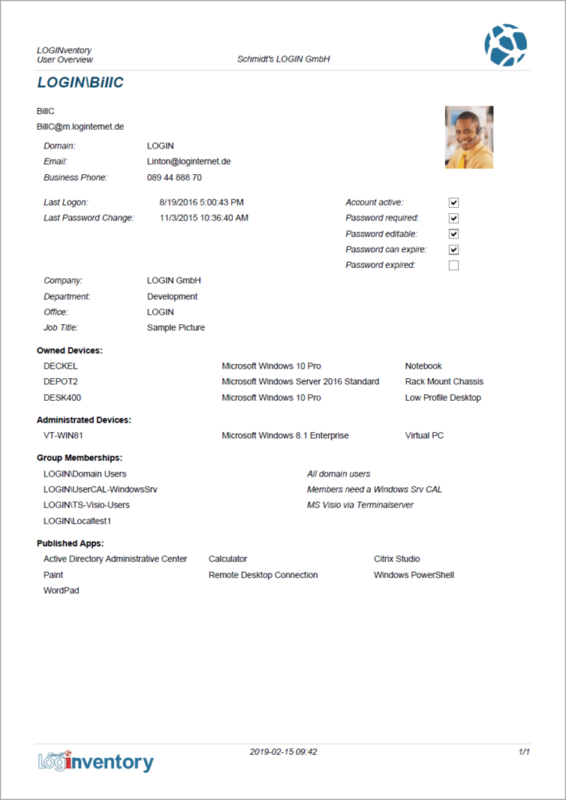 In order to inventory laptops of field staff in off-site locations without a VPN connection, LOGINventory can record the computers with the help of an agent and transfer the data e.g. via HTTPS. 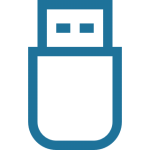 Particularly suitable for one-time recording: By executing a scan file that is copied to a USB stick, devices are scanned in approximately 30 seconds. The collected data can then be imported into the corresponding database and made available for evaluation. Would you like to know more? Take a look at the manual and see all the details! How can the Inventory Data be Evaluated? For the efficient management of your company’s network, it is essential that you get the data you really need quickly and easily. Our software solution provides various evaluation options for this purpose. 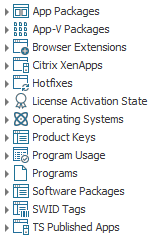 Would you like to know which applications are available on a computer, how many memory slots are occupied, or who has administrator rights there? By double clicking on the computer name you are at your destination. 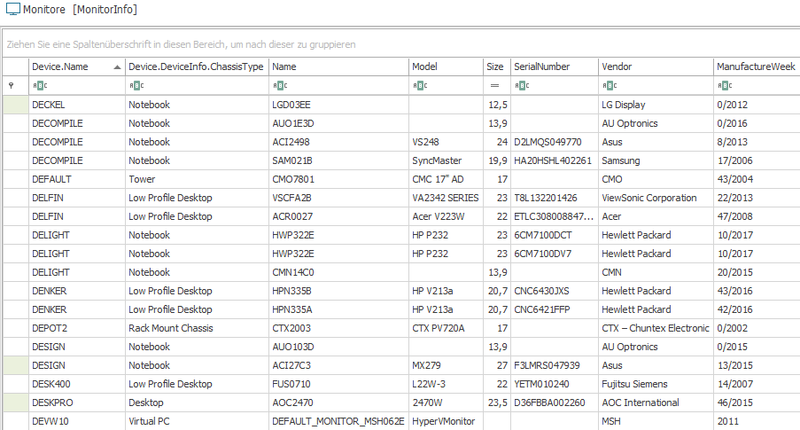 All details can be viewed, filtered and exported directly in the LOGINventory interface. 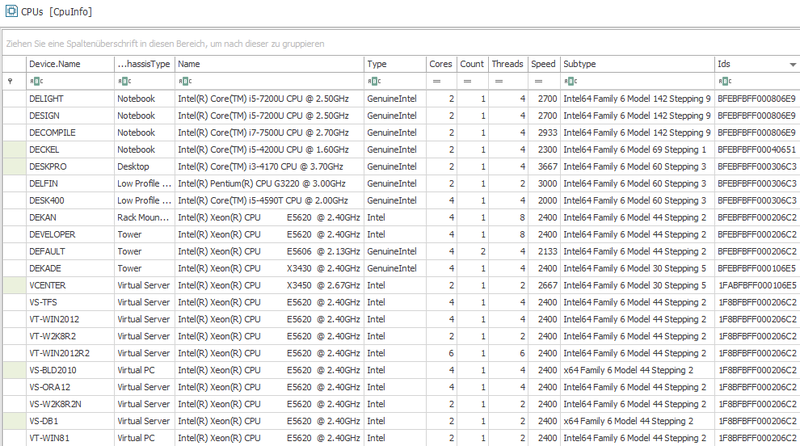 With the large number of queries provided, we already provide various evaluations over the entire network. You want to see other columns? 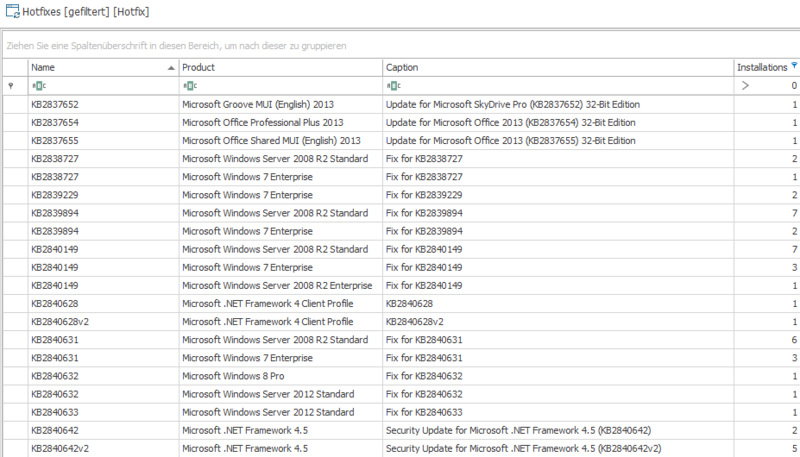 Customize the query! You only want to see devices of a certain location in the evaluation? Set your own filter conditions and also use self-defined fields, such as cost center or purchase date! 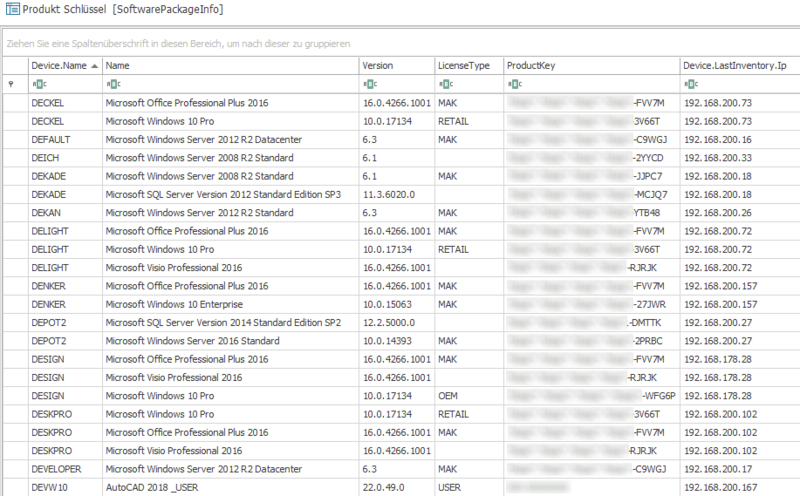 You want to know about all important changes even if LOGINventory is not opened? Define your own tasks and notifications and be notified by e-mail if there are too few licenses, new devices have been found in the network, critical events have occurred or the antivirus software is no longer up-to-date. Or have reports filed automatically. With the Topology View you can create a graphical overview of the network. 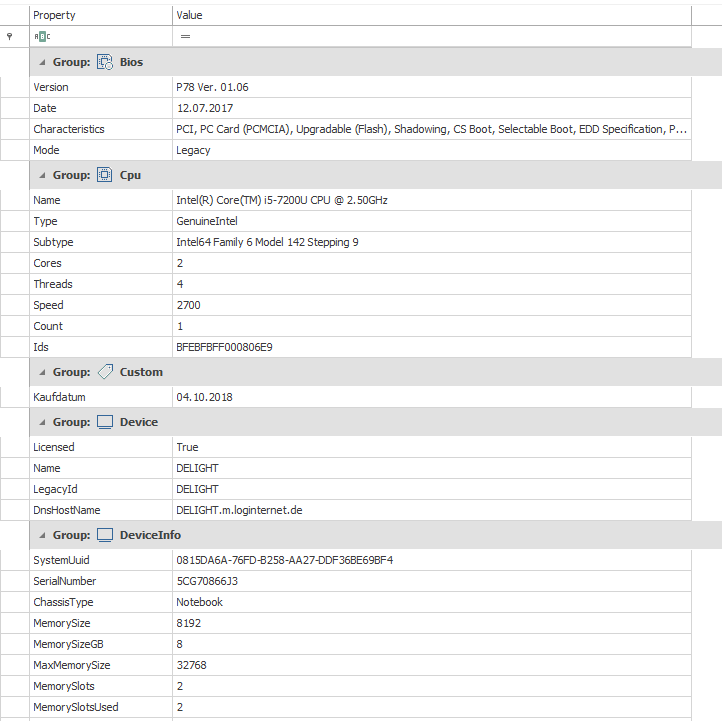 You can see which device is attached to which port, which virtual machines are running on which hosts, and how switches are connected. In Reports the data is presented in a prepared form so that important information can be captured quickly. 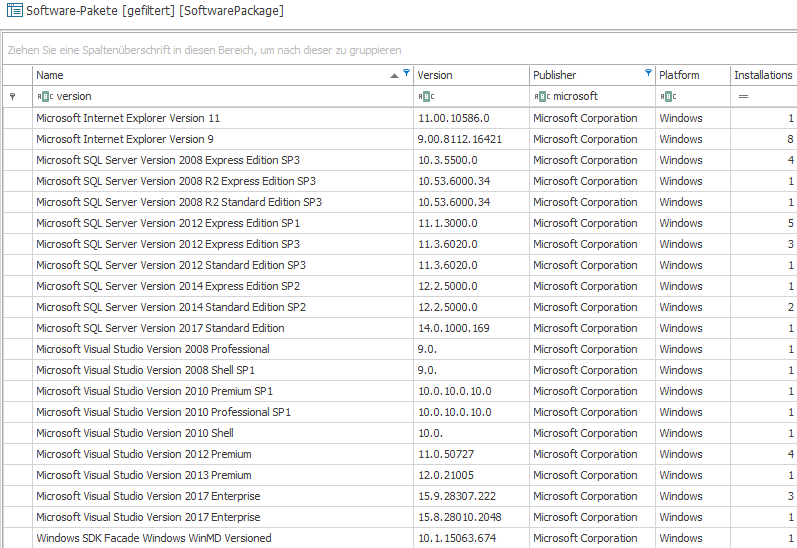 LOGINventory comes with a multitude of predefined reports, e.g. for client documentation, server documentation, authorization analysis, or compliance report. All reports can be customized and of course you can create your own report templates. With the help of the change history you can see when what has changed on which device. When were hotfixes installed? Where was another screen plugged in? When were USB devices removed? The evaluations can be carried out for individual computers, but also for the entire network. You can find out in detail how to carry out IT documentation with LOGINventory here.